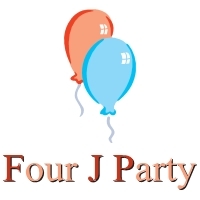 Four J Party is a company based in the satisfaction of our customers, our service is kids’ party rentals, birthday party, rent tables and chairs, pinatas, wedding and quinceaneras. ​This portable Helium Tank is a must have for any party. The Helium Tank fills between 32 balloons to 1187 balloons and inflates balloons made of Mylar and latex. The float time for each latex balloon is approximately 5-7 hours.